In the heart of Ohio lies a one-of-a-kind state park that is also a working farm. Malabar Farm is the living legacy of an early and unlikely pioneer in sustainable agriculture: Pulitzer Prize-winning author Louis Bromfield. The primary objective of Louis Bromfield’s new agriculture was the conservation of soil and water. He believed that resource conservation was America’s greatest challenge, especially after the devastating years of the Dust Bowl. 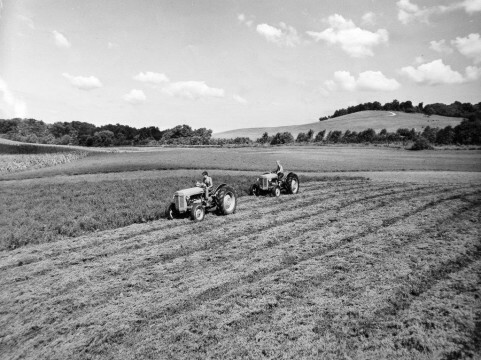 He planted his fields in several different kinds of grasses, including alfalfa and clover. These grasses put nitrogen and organic material back into the soil and became forage for his livestock. He did not use chemical fertilizers — experimenting with natural “barnyard” fertilizers on his fields — and he never used pesticides. 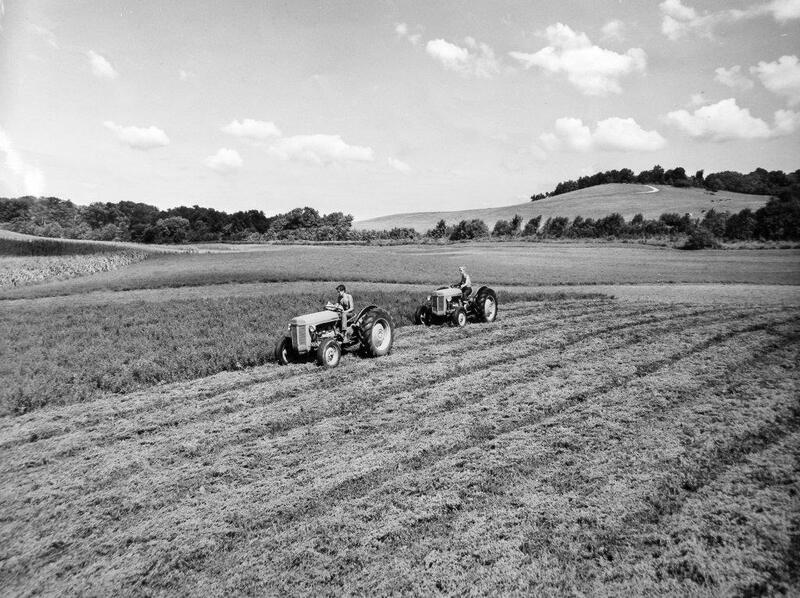 Rather than straight rows and square fields, Bromfield practiced contour farming, a technique that prevents water erosion, and replaced fences with hedges, which helped to slow down wind erosion. He also created ponds and grass waterways to conserve water and prevent runoff. Although Bromfield wasn’t the only farmer in America experimenting with sustainable methods in the 1940s, he was certainly the most famous at that time. And teaching others about saving our soil and farming without chemicals was as important to him as writing books. Conservationists and farmers visited his farm, as did some 20,000 tourists a year. 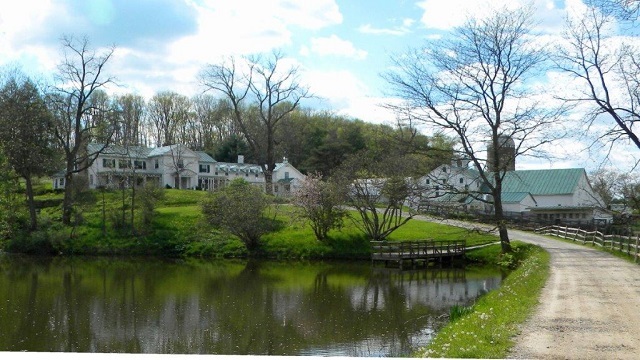 Are the lessons taught at Malabar Farm relevant and useful to us today? We fast-forward to the heart of America’s Corn Belt in May 2013, where a story emerges about lessons learned — and not learned, with devastating results. 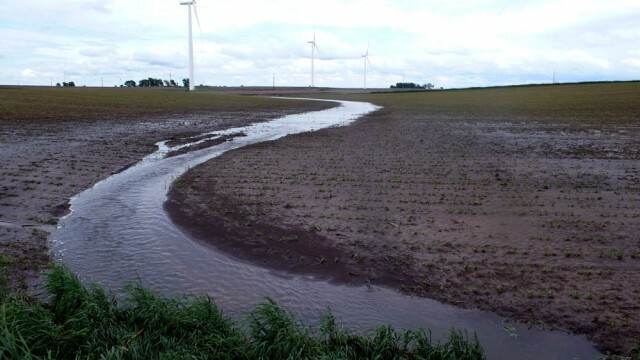 After a year of extreme drought in the Midwest, several days of heavy rain eroded fields, washing tons of precious topsoil and farm chemicals into streams and rivers, clogging waterways, and creating pollution further downstream. According to a report by the Environmental Working Group using an analysis by the University of Iowa, Iowa farms with poor conservation practices lost far more soil than did other farms. Farms with good conservation practices, such as no-till fields, contour strips, terraces, and grassed waterways, saw little to no erosion. Although Ohio was not subject to the extreme rains that plagued Iowa in 2013, the spring was wetter than usual. But aside from a wet campground, Malabar Farm weathered it just fine, according to farm and park manager Korre Boyer. 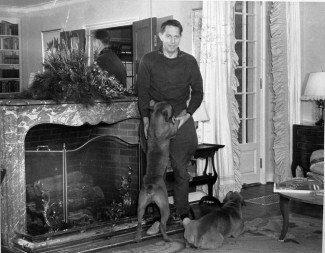 Bromfield was awarded the Audubon Medal for Conservationism in 1952, and in 1980 was posthumously inducted into the Ohio Agricultural Hall of Fame. Visitors can see his bust in the lobby of the Ohio Department of Agriculture’s headquarters in Reynoldsburg, Ohio. After Bromfield’s death in 1956, his children sold Malabar Farm to a conservation foundation, and it became a state park in 1976. It is still a working farm, open to the public, and hosting some 35,000 visitors a year. Many school groups make the trek to learn about the sustainable farming practices that were so important to its founder. * Many of Hollywood’s brightest stars visited Malabar Farm over the years, including Errol Flynn, Edward G. Robinson, and George and Gracie Allen. James Cagney could be spotted selling vegetables at the farm’s produce stand. Any visitors had to earn their keep by doing farm chores. 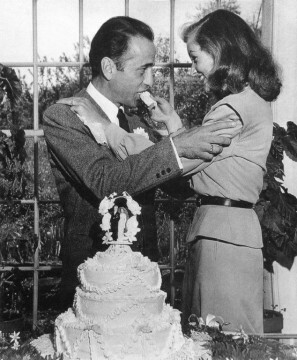 And on May 21, 1945, Malabar Farm hosted the wedding of long-time friend Humphrey Bogart to Lauren Bacall, with Louis Bromfield serving as best man — a star-studded event for Happy Valley! Jean O’Malley is the producer of NewsDepth, an award-winning weekly news program viewed by thousands of Ohio students each year in grades three to eight. This series is now in its 42nd year of broadcast at WVIZ/PBS ideastream. Jean has a B.A. from Carnegie Mellon University.